How do you self-evaluate over a 5 year cycle? Use the level 5 illustration to benchmark with other settings; support professional dialogues and critical reflection. Use the features of effective practice to identify the sorts of evidence which supports self-evaluation relevant to your context. 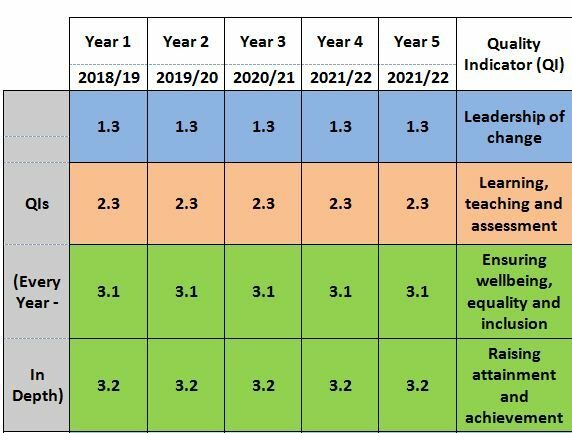 Use the challenge questions with individuals, groups, partners and stake holders to support a shared understanding of the schools strengths and next steps for improvement. 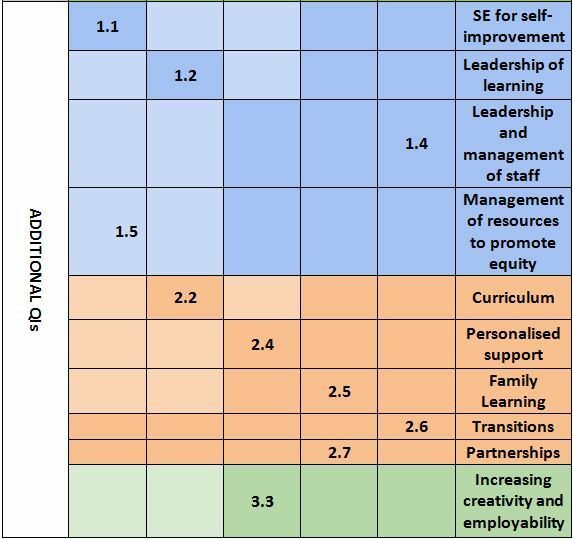 We have created a self-evaluation toolkit to capture evidence for the additional Quality Improvement Indicators.